The Extreme H2O portfolio offers options that are not readily available from the big 4, but are a great complement to your current contact lens business. We provide a solution for patients with specific fitting needs and those that drop out of wearing contact lenses. Extreme H2O lenses are made with Group 2 ultra-hydrating GMA/hydrogel copolymer non-ionic materials. These materials are unique in that they have outstanding hydration and water retention characteristics which contribute to unsurpassed all-day comfort, clarity and dry eye relief. Pacific University conducted a study. We conducted a study. Now we challenge you to do the same. X-Cel’s specialty GP lens designs are a great option for patients who are unhappy with their vision with conventional soft contact lens wear and are an excellent solution for patients with keratoconus. 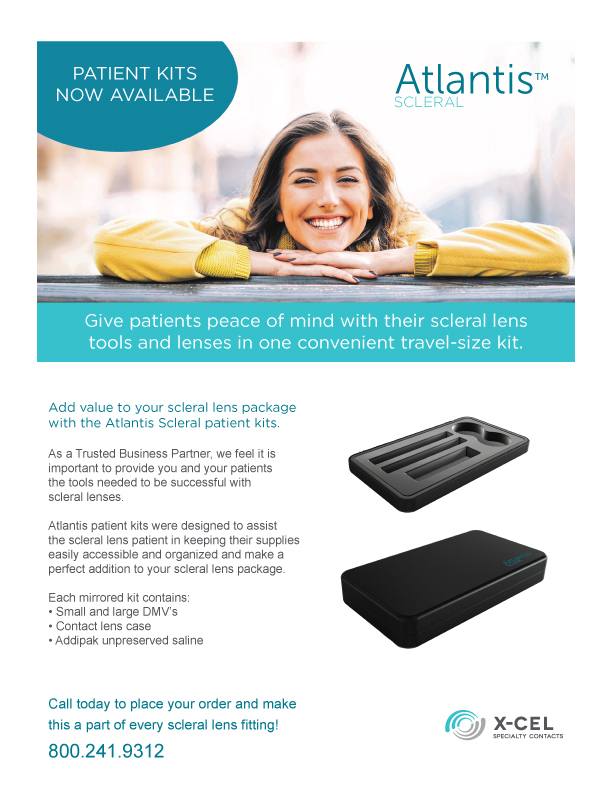 Scleral GP designs, like our Atlantis lens, have been known to offer comfort as well as, or better than a conventional soft lens. In addition to solving irregular cornea vision problems, Scleral GP lenses have also been used to offer relief from moderate to severe dry eye symptoms. From pediatric to presbyope, X-Cel’s custom soft contact lens designs offer solutions for hard-to-fit eyes. The custom soft lenses offer a wider range of parameters than conventional soft lenses for a more customized fit. From sphere to toric and irregular cornea designs, be rest assured your patient has options with X-Cel’s custom soft lenses.